I’ve seen such an improvement in my skin over the past 6 months, and I’m excited to share what I’v been doing. Obviously everyone’s skin is different and I have seen many many dermatologists since 6th grade, so if acne is a problem for you I advise you see a doctor too. Your skin is an organ just like other parts in your body, and if something is wrong you should seek help from a doctor. I’ve stopped taking pills I got from the doctor, and I rarely use the ointments given. It’s the other changes I’ve made that I think have led to the most improvement. Because I’ve had acne since 6th grade, and I’m slightly addicted to popping them in front of the mirror at 10:00 at night, I have been left with many scars. I’ve tried every face wash in the drug store, and many prescribed from the doctor. But for the past 4 months I have been using Aveeno brightening face wash, and Bio-oil as a moisturizer at night and it has greatly reduced the apparent scars. Honestly, I think the Bio-oil is what is making the difference and a little goes a long way so it might seem expensive but it will last. It’s simple. Drink water. A glass right when you wake up in the morning, then half your body weight in ounces throughout the day. If you workout or drink obnoxious amounts of coffee you need more. I wanted to include this on the list, but I’m still unsure of what the long term effects are. I recently visited a new gynecologist and she advised I start birth control to regulate my hormones. She was very surprised that I had visited many other doctors and no one had every recommended birth control for my acne before. I’ve only been on it for a little over a month, but I’m hoping this really ends up being the solution I’ve been looking for since 6th grade. Do you have any magical solutions? 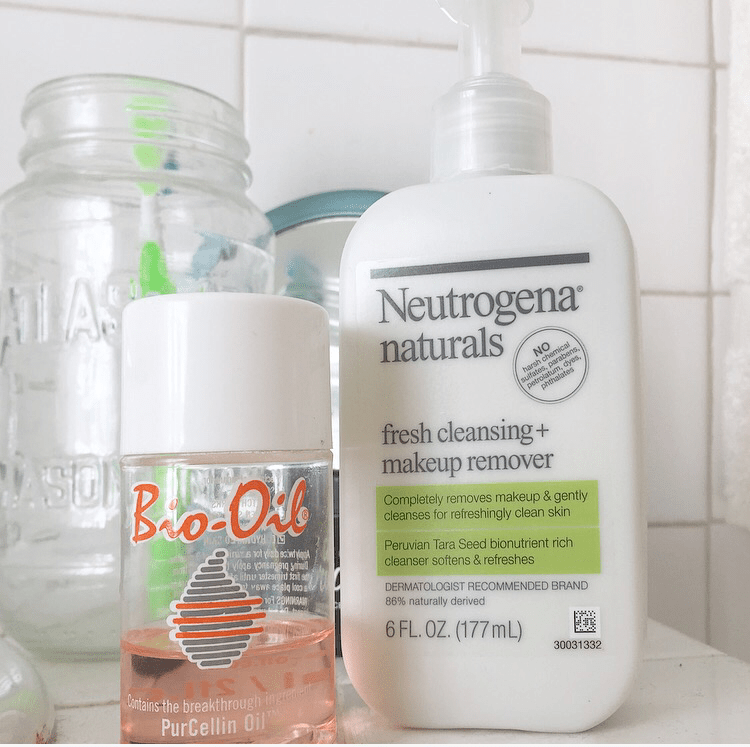 What’s your acne fighting routine?